Terence Thomas Kevin O’Leary is a Canadian author, businessman and television personality from Montreal. O’Leary co-founded SoftKey and O’Leary Fund, which made him to one of the most successful businessmen in the world. Throughout his career, he has appeared on several TV shows including ‘Shark Tank’. As of 2019, Kevin O’Leary’s net worth is estimated to be roughly $400 million dollars. Terence Thomas Kevin O’Leary was born in Montreal, Quebec on the 9th of July, 1954. O’Leary is the son of Georgette and Terry O’Leary. His parents divorced when he was a kid, largely due to his father’s alcoholism. He was inspired by his mother to develop his interest in business and investing. O’Leary received an honors bachelor’s degree in environmental studies and psychology from the University of Waterloo in 1977. He also received an MBA in entrepreneurship from the Ivey Business School at the University of Western Ontario in 1980. O’Leary began his career by spending time in the United States and Cambodia, where his stepfather was a student and a United Nations worker. He earned himself a bachelor’s degree in environmental studies from the University of Waterloo in 1977 and an MBA. In 1983, O’Leary co-founded a company called ‘SoftKey Software Products, Inc’. The company acquired many producers of educational software and was reputed to be one of Canada’s fastest-growing companies. The company was later sold to the American toymaker Mattel in 1999 for more than $3 billion. The acquisition turned out to be hugely unprofitable for Mattel, and O’Leary soon left the company. In 2008, he set up a mutual fund named O’Leary Funds, which he later sold in 2016. O’Leary started his rise to celebrity status in 2006. He took a place on a panel of venture capitalists that passed judgment on hopeful entrepreneurs for the reality show ‘Dragons Den’. In 2009, O’Leary filled the same role in ‘Shark Tank’ which was a big breakout for him in his career. He also appeared as a commentator for the Canadian television channel Business News Network. In 2017, O’Leary announced his candidacy for leadership of Canada’s Conservative Party. He reminded some observers of U.S. Donald Trump. However, he quickly became a front-runner and dropped out from the race in April. He claimed that he would be unable to win the 2019 general election. As of 2019, Kevin O’Leary’s net worth is estimated to be $400 million dollars. Kevin O’Leary is famous for his direct and often abrasive approach with other entrepreneurs. He is currently hoping to cross over from business to politics as a candidate to become the leader of Canada’s Conservative Party. He has worked with some of the best entrepreneurs and he has influenced many by his work. As of 2019, Kevin O’Leary’s net worth is estimated to be roughly $400 million. O’Leary is one of the richest businessmen in the world. 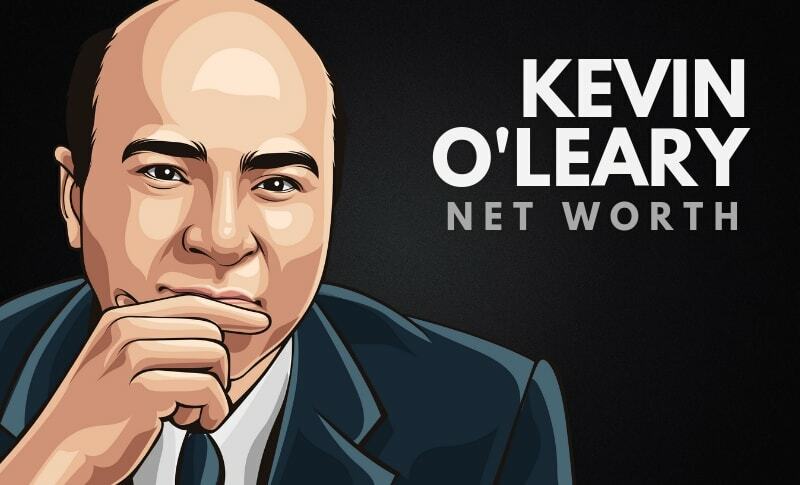 What do you think about Kevin O’Leary’s net worth? Leave a comment below.